I could write three articles about the fellow I am going to highlight this week. His military résumé alone would fill one, his service to the Hut would fill another, and the kick I get out of walking parades and interacting with him would fill another. I am going to have to settle for the “Cliff Notes” or “Reader’s Digest” mode for this however. This week’s hero is Steven Russell Swinford. Serving as Vice Commander for at least the three years I have been around, Steve has always filled the gaps when our commanders have had to miss meetings and participates in nearly all activities. I have enjoyed talking with him joking around if in a meeting or walking the parades we participate in. An avid deer hunter, there is always a story to be told. Steve’s Army career began 13 Aug 1969 to 23 Feb 1972. He parted at the rank of SPC 4 and possessed the MOS 11B-2P (Infantry Paratrooper). That last part means he jumped out of perfectly good airplanes for Uncle Sam. His list of weaponry training and explosives certification would make Rambo jealous. Fort Polk, LA is where he attended Basic as well as Infantry training (the infamous “Tiger land”) and proceeded onto Fort Benning, GA for Jump School. Then onto Fort Bragg for Special Forces training at Camp McCall. Then finally, off to put the training to use to Cam Rahn Bay Vietnam and on to LZ Uplift. There he was assigned to BCO 1st Battalion, 503 Infantry, 173rd Brigade. His common day varied from Recon missions, to protecting local villages thought to be friendly to the South Vietnamese Regime. He served as a Rifle Squad Grenadier. His awards and Decorations (what we in the USAF call chest salad) are the following: Combat Infantry badge, Parachute Badge, National Defense Service Medal, Air Medal, Vietnam Service Medal, Vietnam Campaign Medal, Army Commendation Medal, RVN (Republic of Vietnam) Gallantry Cross, RVN Civic Action Honor, M-16 Expert Badge, and M-14 Marksman Badge (whew, that was a mouthful!). All kidding aside, that is a résumé to be proud of as our Nation and Community should be! Salute Steve. Thank you for your service! The weather needs to be watched continuously, so we remain in the “common sense” rule. Our fearless commander has returned from his journeys to Arizona for the Ira Hayes/Iwo Jima Memorial Parade and Ceremony at Sacaton, AZ on the Pima Indian Reservation and from Wyoming. We will have an awesome slide presentation and narrative on the Thursday evening meeting 19 March, so be sure and drop by. Our regular meetings are usually the first and third Thursdays at 7:00 PM. Chef Jerry will serve up a feast (I’m hoping for beans and cornbread) this coming meeting March 19th. That will drop back start time to 6:00 PM. Monday morning Koffee Klatch meetings in March are still planned (if weather permits) and running; starting around 0700 till about 0900. Much thanks to the crew for providing biscuits and gravy and maybe a waffle or two and always a cup of Joe (coffee to the civilians). If you are a veteran come on by. If you have a good story it may end up in print! 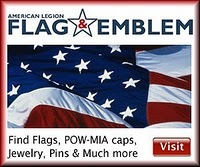 Also keep up with us at website “americanlegion142.org” which by the way just broke 15,000 hits! Much thanks to Michael Frazier. While far away, he still maintains and updates our website…Salute Michael!